Kotobukiya is going to release this very cute figure rendition of Kuroneko from the hit anime series Oreno Imouto ga Konna ni Kawaii Wake ga Nai (My Little Sister Can’t Be This Cute). 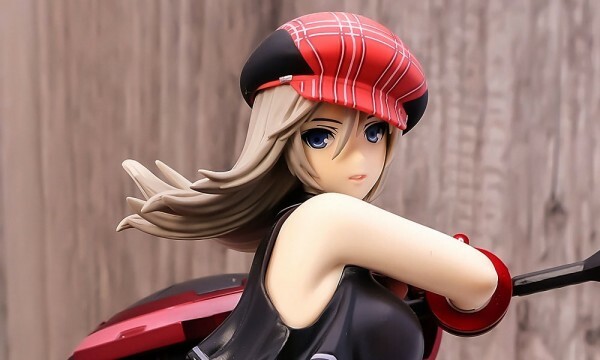 Figure is scheduled for December 2011 and will retail for ¥6,000. Here comes Kuroneko from Kotobukiya made based on pinup illustration of Kirino and others going to NatsuComi! This Kuroneko is dressed in her casual wear! Kuroneko usually doesn’t dress in “summer” clothes and favors long sleeved shirts. But this Kuroneko is dressed in no-sleeves and you can see her upper arm which we have barely seen before! Yes, it’s summer! Her Tsun expression makes it even better!